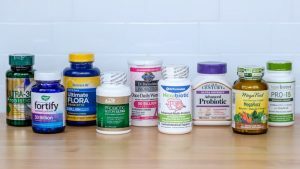 You are here: Home / Healthy Diet / Health Supplements, Vitamins & Minerals / Best Supplements for Runners (2019 Update) | Recovery & Training! Runner athletes can take various supplements, but be warned: these don’t have magical powers. You still have to train hard and yes, run that extra mile. Diet is an essential part of the process too. The supplements below have proven benefits, and they all work because they give you an energy boost, plus the nutrients your body needs to recover after a strenuous workout. But being an athlete is a game of concentration, ability, and training. What Supplements Should Runner Athletes Be Taking To Boost Endurance Performance? Below are our top supplements that will improve your performance and help your recovery. We tried most of them, so we’re speaking from experience. Is it true that runners need BCAAs to perform better? Some say they couldn’t live without them, especially if they’re not casual joggers. The reason is that running takes a toll on your muscles. Running is a high-impact exercise that puts a real strain on your lower body mainly, so your leg muscles can become overworked. Running also uses up a lot of calories, helping you lose weight. Women tend to eat less protein and BCAA is Amino Acid that is found in protein that can help with recovery in men and women. 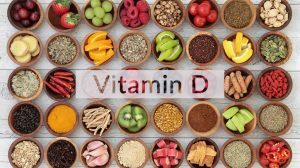 Few other supplements for female runners are also necessary such as Iron and vitamin D. BCCA is one of the best amino acids for Running and Endurance athletes. Without strength training, though, you’re at risk of losing significant muscle mass along with fat deposits. High-intensity training puts you in a catabolic state, so your body doesn’t work to build more muscle tissue, but instead breaks it down. And this is where amino acids come in. 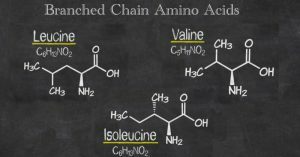 Amino acids play an essential part in synthesizing the protein you need for building muscles and for recovering. 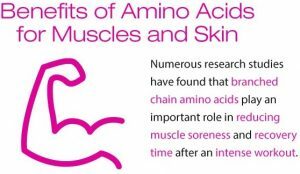 Amino acids are a good source of energy too, so you can take them before or even during your training. Transparent Labs BCAA glutamine is my go to choice and the best BCAA for runners because it reduces fatigue, increases endurance and allows your muscle tissue to repair and rebuild after running. It is one of the best best supplements for ultra runners. Its mix of active ingredients is the result of extensive clinical research, and the recommended doses come from peer-reviewed scientific research. We also like that Transparent Labs BCAA glutamine has no artificial additives, colored dyes or fillers. The mix of Leucine, Isoleucine, Valine, Glutamine, and Coconut Water Extract increases protein synthesis and glucose metabolism. Therefore, your body will burn carbs more efficiently, and your muscles will store more glucose so that your body doesn’t destroy lean muscle mass. It contributes to less muscle damage, reduces tiredness and increases fat loss. Coffee is the best supplement for running to take before you run, especially in combination with Transparent Labs BCAA Glutamine. This product is an excellent pre-running supplement even by itself if you’re trying to avoid caffeine. Coffee gives you a huge energy boost about 20 to 30 minutes after you drink it. You can, therefore, drink a cup before working out, to maximize your results. There are plenty of other advantages of coffee: it’s affordable, tasty, has just a couple of calories per cup unless you add milk or cream, and it doesn’t cause an upset stomach. 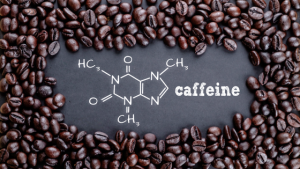 Take into account that coffee takes quite a few hours to get out of your system completely. So, if you have problems falling asleep, try to avoid it before your night workouts. Follow my guides reagrding Pre Workouts For Runners and what is the best creatine runners can take. Glutamine is a nonessential amino acid you already have in your blood and muscles. But when you’re doing intense workouts, glutamine is among the first amino acids to go. Low glutamine levels make you feel tired on the short term and can also cause exhaustion in the long-term. Fatigue leads to immune problems and increased risk of getting all sorts of illnesses. Remember that catabolic state we discussed before? A 20mg supplement of glutamine helps you avoid that so that you can recover faster. Glutamine helps muscle growth, improves your endurance levels and can help you rehydrate after a run, so it’s an excellent post-workout supplement. There’s some exciting research nowadays that backs up the fantastic effect of good gut bacteria on our overall health. Who would have thought that gut bacteria can be essential for your brain health, hormones and immune system? Running takes up a lot of your energy, so it’s no wonder your body has fewer resources to invest in your immunity and nervous system. Weight loss also messes with your hormones and may cause digestive problems, so it’s crucial to enlist the help of a good probiotic. Silver Fern Ultimate Probiotic Supplement is the best on the market because it helps with nutrients absorption, fights harmful bacteria and creates the perfect conditions for good bacteria to thrive in your gut. Another advantage is that it fights off bloating, which can put a hinder on your run. Take it before bedtime, and it will work like a charm. Take calcium before bedtime to help your bones be strong and healthy. All runners have to deal with runners joints sooner or later, while knee issues are also common. When you’re doing high-impact activities, your body uses some of your calcium stores to stabilize your metabolism. 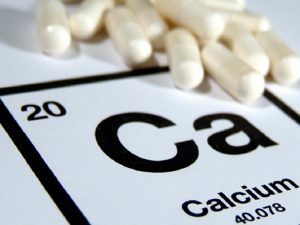 A calcium supplement avoids the toll this can take on your bones. Besides, bone loss can lead to fractures, which are so not fun. Does your eye twitch? Do you feel stressed? Are you sleep deprived? Do you think you’re not getting enough hydration? Then your body lacks vitamin D3. Fear not, by the way; all these are common symptoms among runners because of intense exercise. Vitamin D3 helps your bones to absorb more calcium. You are taking it alongside your calcium tablets before bedtime is wise. 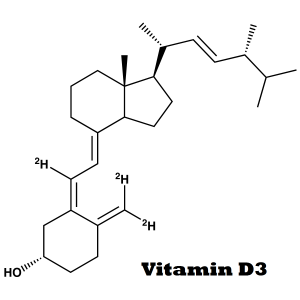 Vitamin D3 supplementation helps avoid osteoporosis or arthritis as well as other joint issues. Ah, that good spoon of fish oil or grandmas insisted we should gobble down. But what we loathed as children may save our behinds as adults. Fish oil is full of omega-3 fatty acids which reduce swelling and improve our immune systems. Besides, your body doesn’t produce these acids on its own, so your only choice is to supplement because there’s no way you can get enough just through diet. Runners benefit from fish oil because omega-3 fatty acids keep them healthy and increase muscle growth. That way, runners can be stronger and perform better. Fish oil reduces swelling, which means there will be less muscle damage and soreness after you run. From that point of view, fish oil can help you recover faster, improving your overall endurance. And if the fishy taste is a bit too much for your palate, try some fish oil capsules. You can get them before bedtime or at any other time during the day. 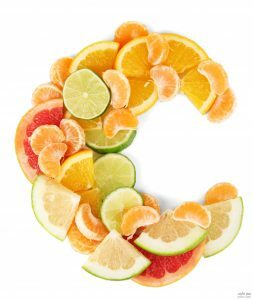 Vitamin C is a reliable antioxidant, well known for boosting your immune system. When you’re exercising a lot, your body undergoes oxidative damage. When running, your heart rate increases, and so does your breathing. It has sound effects on weight loss, but it can also lead to oxidative stress. If you’re running outside in a big city, chances are you might take in a lot of environmental toxins caused by air pollution. Taking vitamin C is a good prevention measure against various illnesses, like the flu. Even if you do get sick, it helps your body recover faster. And we all know how difficult it is to work out when our energy levels are low, right? But vitamin C supplementation can boost your stamina and performance, helping you train even when you’re not 100% healthy. Vitamin E helps fight free radicals because of its antioxidant properties. With proven benefits on your cardiovascular system’s health, vitamin E is especially useful when you’re exercising for a long time. Prolonged exercising puts a strain on your heart, so naturally, you need some help with keeping your heart healthy for longer. There are various other benefits to vitamin E, according to WebMD. For instance, vitamin E improved various blood disorders, like anemia. Running for a long time means your heart needs to pump more blood and, if you’re already iron-deficient, you need some extra vitamins to keep you up and to run. Vitamin E is linked to a healthier brain, seeing as it can ease the symptoms of Alzheimer’s or dementia. Running can help you unwind, but, if you’re under a lot of pressure, so can vitamin E.
If you’re a lady who loves to run but hates putting things on hold because of painful menstruation, vitamin E will help. Take it before and after your menstrual cycle to reduce your pain and menstrual blood. That way, you can enjoy running for longer, even during days you would typically spend crouching on the couch. Vitamin E helps improves blood coagulation. If you get an injury when you’re out running, count on Vitamin E to help you recover faster. 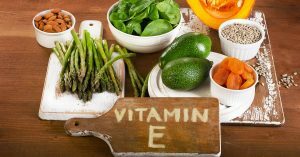 Running outside can damage your skin, but vitamin E has all sorts of proven benefit when it comes to skin health, especially things like sunburn. 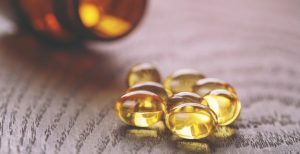 Lastly, vitamin E can improve the symptoms of rheumatoid arthritis when taken alongside the treatment your doctor prescribed. It means vitamin E can be a good helper when it comes to various joint pains caused by running, alongside calcium and vitamin D3. Another vitamin to add to your nightcap of multivitamins, magnesium is a capital factor when it comes to endurance. Magnesium increases your energy levels, prevents twitches, supports controlled muscle movements, plus it makes your bones healthier. Magnesium is also related to proper nerve function and a healthy heart. Magnesium is a big helper when it comes to digestive issues like constipation and indigestion. Sometimes, when you’re running for a long time, and you’re not getting all the hydration you need, you may become constipated. Constipation is also associated with weight loss, which can happen if you’re running a lot. Indigestion is also frequent among runners, who might suffer from heartburn, especially when running soon after a meal. Magnesium pills are frequently-used antacids, while magnesium hydroxide is the fastest way to reduce painful heartburn. 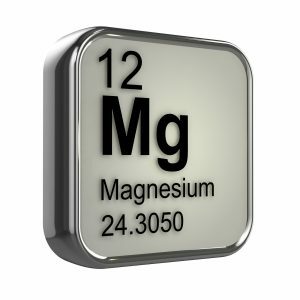 Lastly, magnesium is frequently administered by ob-gyns who want to reduce pregnancy-associated high blood pressure. But you don’t have to be pregnant to get your heart rate up when you’re running. If this starts making you feel uncomfortable and has you stopping instead of continuing your run, magnesium can increase your endurance and stamina. There are all sorts of drinks with added electrolytes, which add some extra minerals to the mix. When you’re running, you’re losing water and need to rehydrate. But exercising for more extended periods and making strenuous efforts leads to losing essential vitamins and minerals, which is when electrolyte supplements come into the mix. These electrolytes can be from calcium, magnesium, phosphate, potassium, and sodium. They carry electrical charges that stimulate your muscles and nerves, thus promoting faster recovery and brain health. Electrolytes regulate your bodily fluids too, which in turn keeps your blood pressure steady and your cells healthy. If your cells are healthy, then so will your tissues, especially muscle and bone tissues. It’s essential to replenish your electrolytes when you’re running. Do you know how salty your sweat is? That’s because you’re losing a lot of sodium. Some runners who overdo it end up vomiting or having diarrhea. It also happens because of electrolyte imbalances, so you need to correct that with an electrolyte drink. 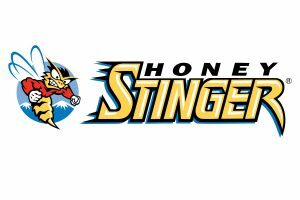 Honey Stinger is the best brand of electrolytes on the market for runners. It’s easy to chew one before or during your run, they’re USDA-organic and gluten-free, with just 160 calories per pack. Honey Stinger has 100% of the recommended daily amount of Vitamin C, to help you fight oxidative stress when you’re running, as well as environmental toxins. With its low glycemic index, Honey Stinger will stabilize your blood sugar levels, so you can benefit from a sustained energy boost instead of a high insulin crash you get from eating chocolate bars or other processed carbs. With that in mind, let’s compare some of the 3 top supplements for recovery: BCAAs, fish oil an L-carnitine. We already talked about the first two. BCAAs reduce post-running muscle soreness, so you don’t need to take a lot of rest days. Fish oil, with its EPA and DHA fatty acids, helps reduce inflammation and muscle swells. L-carnitine helps you burn fat, which is important when you’re running even if you don’t have a weight loss goal. But you want to stop your body burning through muscle mass, don’t you? L-carnitine helps your body focus on breaking down fat for energy, therefore increasing your performance. 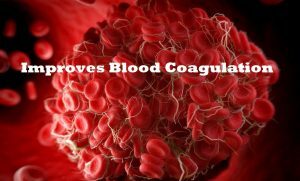 That leads to more significant oxygen consumption, which means more red blood cells are created, which means more energy. That’s why you can take L-carnitine to recover faster after a strenuous workout. In need for best joint care supplement for runners? You already know that vitamin D helps your body absorb more calcium. So, you can have healthier bones and avoid joint pain? But what can glucosamine do? Glucosamine is extracted from shellfish or is artificially made in labs for dietary supplements. 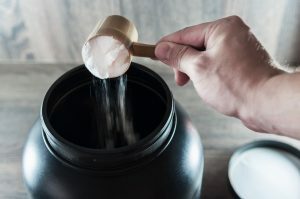 There are various studies which show that glucosamine is essential to building cartilage, that connective tissue that pads your joints. While cartilage is supposed to be flexible, running can make it break down easier. Glucosamine has sulfur which repairs broken cartilages and reduces osteoarthritis pain, knee pain, back pain or other joint pain. Glucosamine will also reduce joint stiffness and swelling, helping you have healthy bones and joints. Hope my top supplements for runners guide will help you on your journey on becoming a better and faster runner!